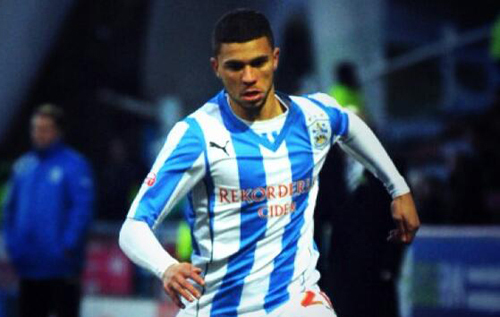 Nahki Wells signed off for the season with a curtailed appearance in Huddersfield's 4-1 win at Watford on Saturday. 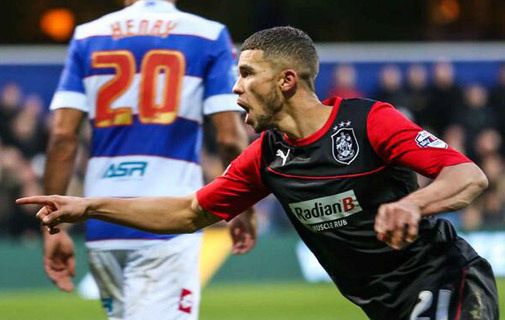 Nahki Wells takes on shell-shocked Charlton Athletic tonight as Huddersfield Town look to atone for their deflating 2-0 defeat to Doncaster Rovers at the weekend. 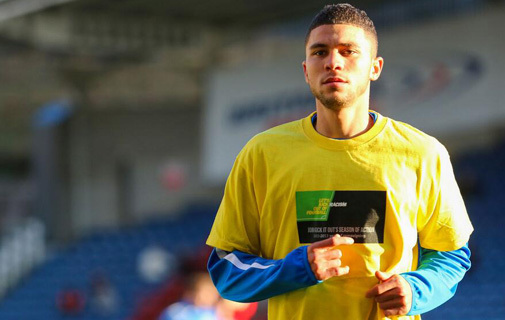 Nahki Wells was lavished with more praise after his eye-catching performance for Huddersfield Town at the weekend. 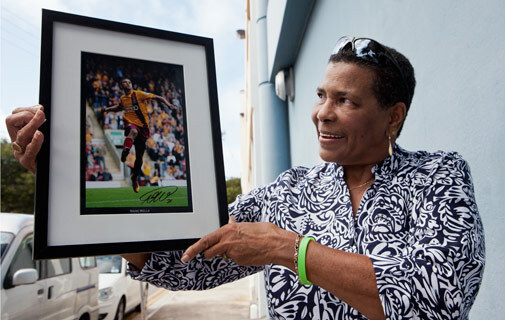 Sun reader Althea Richardson, of St David's, couldn't believe her luck on Tuesday after winning a signed and framed Nahki Wells picture. Huddersfield Town were tracking Nahki Wells for more than 18 months before they splashed out a club-record fee to sign the Bermudian striker from bitter rivals Bradford. Huddersfield Town has some new fans in Bermuda, following Nahki Wells' record-breaking move to the Championship side. While Nahki Wells roared with delight at his match-winning debut goal for Huddersfield Town, thousands of miles away in Devonshire his mom wept uncontrollably with pride. Nahki Wells on Friday targeted 30 goals this season — and shrugged off Peterborough's recent offer as being a "sideways" move. Bradford City co-owner Mark Lawn is upset that Peterborough United went public with their bid for Nahki Wells.